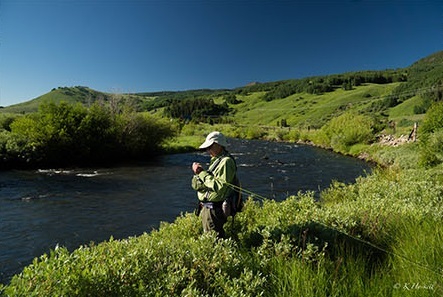 Compete in this year’s 17th annual fly fishing tournament* for some friendly competition on the world-class Gunnison Valley waters. If you’re an avid angler, you don’t want to miss the main event on Saturday – the fly fishing tournament. We will pair you with one of the valley’s best guides, and together, you’ll catch as many trout as you can across the famous Gunnsion Valley waters. The awards ceremony is from 5-7, complete with prizes, drinks, hors d’oeuvres, and great stories. Entry to the tournament includes 1 seat at the Caddis Cup Dinner on Friday, a bag lunch on Saturday, a custom fishing shirt, and a goody bag!